10 months ago, Miguel Cotto stepped out of the ring for the final time after an upset loss to Sadam Ali at Madison Square Garden. Now, the former four division champion has taken to promoting fights instead of taking them. 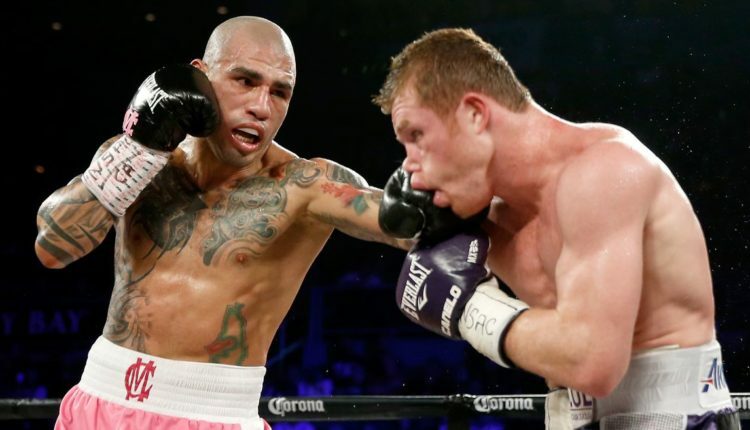 While most boxing retirements may not stick, Cotto has no desire to walk back through the ropes. “No, it has never crossed my mind to fight again. We are clear and emphatic in retirement, it was 27 years in boxing and now it is time to dedicate my time to family,” said Cotto of ever returning to fighting. “After Floyd Mayweather nothing has changed, boxing will always have its stars. I understand that there is a Vasyl Lomachencko, Mikey Garcia, among others. There are people who can carry boxing,” Cotto said of the current crop of boxers leading the sport. Cotto is currently in the country to attend the 31st Annual Convention of the World Boxing Organization, which runs from Monday until Thursday.